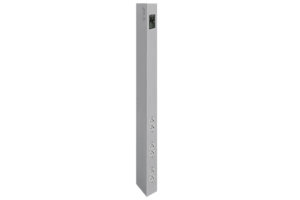 PG LifeLink’s Power Poles bring maximum versatility to your space by incorporating power receptacles, data and communication connections into a vertical raceway system. 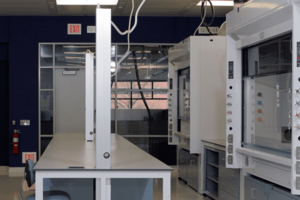 There are limitless ways to configure the design using six standard raceway sizes. 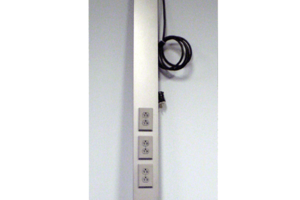 Power poles are made of high quality extruded aluminum and can be used individually or mounted back to back. 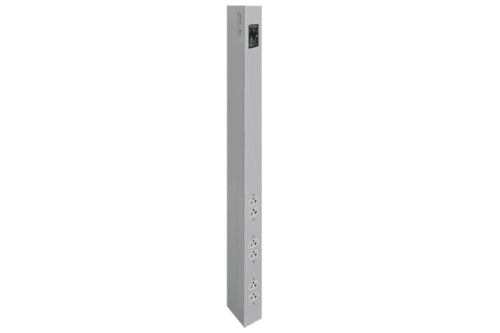 Our service power poles are available with provisions (cutouts) only or with devices (wired or not wired) to meet your specifications. Power data poles are commonly installed in the laboratory environment, but can also be incorporated into modern office space to meet additional power and/or data needs. Mounting: Mount Power Pole to lower surface using #8 or larger screws through the floor mounting bracket. Secure the top of Power Pole. LabLink Power Pole Certification document.